The Supreme Court in ITC LIMITED GURGAON vs. COMMISSIONER OF I.T. (TDS) DELHI, has categorically held that ‘tips’ received by Hotel employees does not amount to ‘salary’ from their employer and hence the employer need not deduct the tax at source under Section 192 of the Income Tax Act, though the same would be chargeable in the hands of the employees as“income from other sources”. Section 192 of the Income Tax Act states that any person responsible for paying any income chargeable under the head "Salaries" shall, at the time of payment, deduct income-tax on the amount payable at the average rate of income-tax computed on the basis of the [rates in force] for the financial year in which the payment is made, on the estimated income of the assessee under this head for that financial year. Receipt of the tips by Hotel employees was treated by the Assessing officer as income under the head “salary” in the hands of the various employees and held that the assessee were liable to deduct tax at source from such payments under Section 192 of the Income Tax Act, 1961. However Commissioner of Income Tax (Appeals) set aside the assessment, against which the Revenue approached High Court. 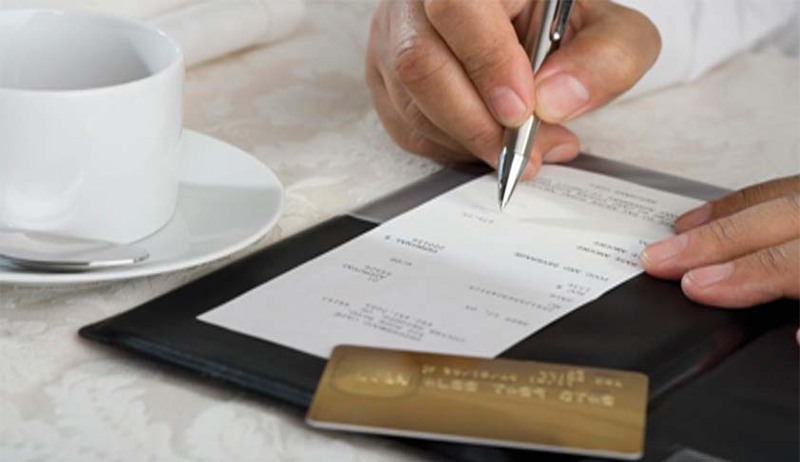 The High court, had observed that when tip is paid by way of a credit card by a customer, since such tip goes into the account of the employer after which it is distributed to the employees, the receipt of such money from the employer would amount to “salary” within the extended definition contained in Section 17 of the Act. However, the High Court also held that that when tips are received by employees directly in cash, the employer has no role to play and would therefore be outside the purview of Section 192 of the Act. The assessee appealed to Supreme Court. The Bench comprising of Justices Kurian Joseph and R.F. Nariman observed that income from tips would, such tips being received from customers and not from the employer, Section 192 would not get attracted at all on the facts of the present case. The Court also observed that there is no vested right in the employee to claim any amount of tip from his employer,(mandatory condition for Section 15 to apply) and tips being purely voluntary amounts that may or may not be paid by customers for services rendered to them would not, fall within Section 15(b) at all. Setting aside the High Court judgment in toto, the court observed that the true character of tips cannot be treated as any payment made by the management but only as a transfer of what is collected from the customer and paid to the staff.